A loan of $600 helped to buy 2 tables, 8 chairs and 1 stove with 5 rings. Blanca is a married woman who has her feet on the ground, she knows what she wants, where she's going and how to get there. She works in a restaurant, she does the cooking and serves the customers. She and her husband have a teenage son who has made their family complete. She works every day serving typical dishes from Antioquia such as beans, fish stew, sancocho soup, tripe and others. It was thanks to her brother that the restaurant was set up. He taught her to cook and how to run a restaurant and up until now, although she began with little, it is working well. 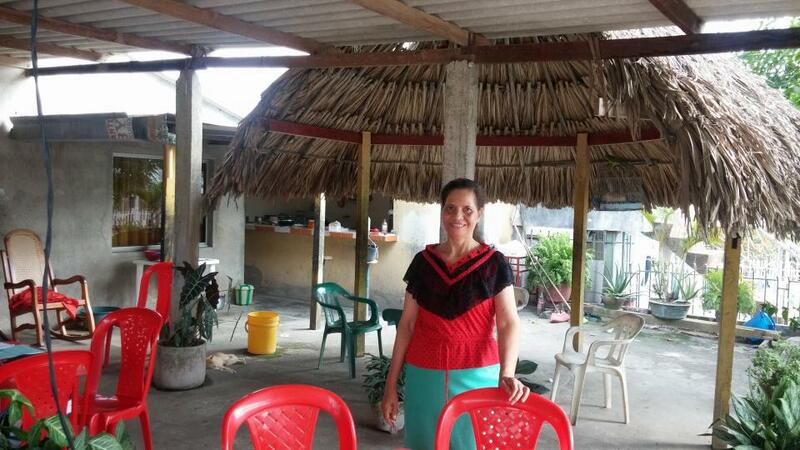 Blanca is asking for financial support in order to buy fixed assets to improve her business. Her idea is to redesign it progressively until she has a business that her customers appreciate. Her loan will be used for the purchase of 2 tables, 8 chairs, 1 stove with 5 rings and raw materials. Blanca es una mujer casada muy aterrizada en sus cosas, sabe muy bien que quiere, para donde va y como lograrlo, ella trabaja en un restaurante, ella es la cocina y quien atiende a sus clientes. Blanca es una mujer casada y junto a su esposo tiene un hijo adolecente que termina de conformar su familia, trabaja diariamente sirviendo platos típicos Antioqueños como frijoles, sudados, sancochos, mondongo entre otros. Fue gracias a su hermano quien monto el restaurante él le enseño a cocinar, y a cómo administrar un restaurante y hasta el momento aunque empezó con poco va por buen camino. Blanca en el momento se encuentra solicitando un apoyo financiero con el fin de comprar activos fijos para mejorar su negocio, su idea es ir remodelando poco a poco hasta tener un negocio del agrado de sus clientes. 2 mesas, 8 sillas, 1 estufa de 5 puestos y materia prima es el destino de su solicitud de préstamo.